Posted on January 16, 2015, in CSCS, fitness, NSCA, Strength and Conditioning, workout and tagged CSCS, nsca, Programming, Smart Training, strength and conditioning. Bookmark the permalink. 5 Comments. Good read and very insightful. 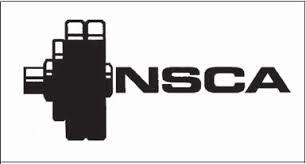 I am taking NSCA’s CSCS exam in a few month. Besides the study material they provide, do you have other recommendations? Thanks! It’s been a while but I mostly just used the textbook. I Went chapter by chapter then took a practice test. The areas where I struggled on the test I went back over in the book. Good Luck! Thanks! Was the format in multiple choice with a. b. c.? I’ve heard there are 3 options instead of 4 now. Hey sorry. yes I am from New Jersey. What’s up?